In order to efficiently construct a deck no matter if you use an expert or you build a deck yourself, you need a properly laid out deck plans and design. Decks remain a popular choice with regards to home improvement and reviewing deck plans can go a long way in helping you to decide what kind of deck you want. Decide for plans that have a proven background for the best results. Even before you begin to build a deck you need to cover some basic things such as where the deck is going to be situated as well as the size it’s to be. 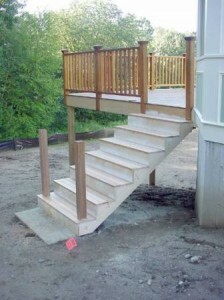 You must also determine the materials you want to use and how access to the deck is going to be achieved. Then you should contact your local zoning board so that you are aware of the permits and licenses that you will need. 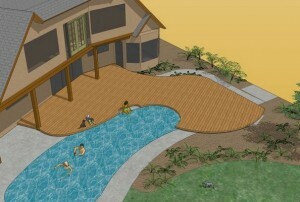 Review some deck design plans to help you get a few suggestions regarding the look and feel of the deck that you want. When it comes to completing your project successfully you must determine the right locations for the deck footings and to do that there are 2 methods to use: Firstly, install a ledger board to determine 2 positions at the house to work from. Next, remember that your deck plans will be in 2d and so you will need to ensure your lines are leveled. This will ensure that your deck is not misshapen upon conclusion. You need to dig a hole and put concrete into it. A 60 pound bag of ready mix would be advisable. Place the concrete pier into the still wet concrete inside the hole. The concrete will obviously harden around the pier and so provide stability. 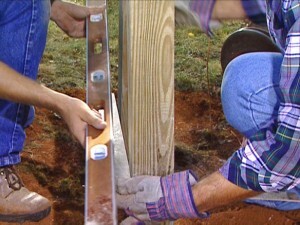 By use of a screw gun and screws you then need to fix the post to the pier. By following this method the post will be neither inside the concrete nor underground and therefore exposed to the elements. The post will then be attached above the ground between the metal anchors which are attached to the pier. 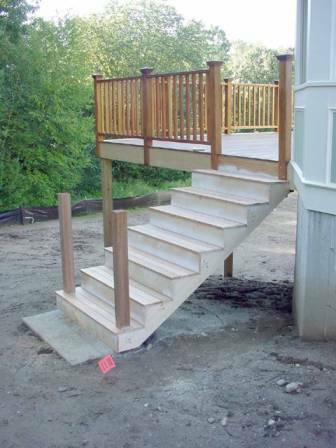 It is important that you employ heavy-duty supports as well as pressure treated lumber when constructing the component parts as the deck framing needs to be sturdy enough in order to properly support both weight of the deck and hold up with the passage of time. Just like correct framing is essential for houses likewise it is necessary for decks. There exist several ways to achieve correct framing which include installing ledgers and beams so as to pour concrete piers and cutting stair stringers. If you’ll need some free advice regarding deck details you should approach your local building authorities. This part is rather easy and anybody having a limited amount of knowledge when it comes to construction really should be able to construct an attractive set without much hassle. A lot of people go for one or two flights of stairs from the deck to the surrounding yard. Depending on your aesthetic preferences you are able to choose from a variety of different ways to do this. 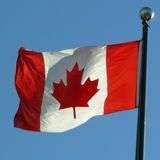 Keep in mind that some municipalities do have specific codes that you will need to be aware of and take into account when you design the stairs. Some municipalities actually require a minimum width of three feet for the stairs so find out about that first. Just about all decks will face weather fluctuations and if you neglect to apply a protective coating to your finished deck you will run into problems sooner or later. To avoid the wood weathering you should make sure that you finish it soon after you have finished building it. Woods such as pressure treated wood, cedar, and redwood are all examples of wood that will require protection. This entry was posted on Monday, February 6th, 2012 at 8:03 pm	and is filed under Deck Construction. You can follow any responses to this entry through the RSS 2.0 feed. You can leave a response, or trackback from your own site.